While there are an infinite number of challenges to face when it comes to moving abroad, the truth is that many of us make it more complicated than it needs to be. Yes there are different ways to live, of course people have different ideas of the lifestyle they want, and obviously general rules are not going to apply to everybody. However, if you respect your new country and use common sense you will find the transition abroad is often far easier than other people make it sound. Here are 2 basic rules for living abroad that can do wonders and help you avoid culture shock and getting home sick. There is a wide range of expats in the world and it is impossible to group them altogether. However, as you will notice when traveling, there are quite a few expats who will complain about racism, unfairness, paying more than locals for goods, and the attitude they get in certain situations. While this does not apply to everybody, in most cases these people have run into these situations because they do not respect their new country or the people within it. Many Canadians, Americans and Europeans will whine and complain if immigrants come to their country without learning the local language, yet they are more than willing to do the same in return. By practicing the language, engaging in basic conversation with locals and simply proving you respect the culture and the people, your transition into the community will be made far easier. Even if you cannot grasp the language at all, the effort alone makes a very impressive point to the people around you. Many expats wonder why they get dirty looks from locals in their new country, or are forced to pay more for certain items like groceries. Yet, these are often the people driving around in supped up SUV’s, living in mansions, and spending frivolously. If you turn your nose up at the lifestyle of the locals, then chances are you can expect them to do the same to yours. This doesn’t mean that you shouldn’t live an affluent life abroad if you have the money, it just means you still have to appreciate the people around you. There is no need to flaunt wealth, drive through local farms with your SUV or mock local food and instead head to McDonald’s. Simply be aware of your surroundings and engage in the local culture, flavors and activities. Dance to the local music, sing out loud to the local songs, and attend local festivals and parties. 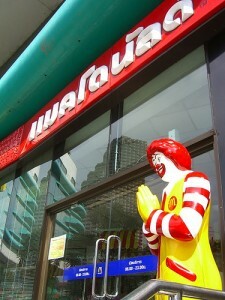 Living abroad is all about the experience and not always about sustenance. Remember that and your entire transition will be made much easier. Respect those around you, whether you are broke or a king, try to blend in with the culture, no matter how weird it seems, and show that you are sincere about the country you are heading to. If you make it obvious that you are only there for the tax breaks or cheap rent, then you shouldn’t be surprised if you are treating like an outsider. Some modernity, quite a bit of serenity and a whole lot of tropical ease make up the ingredients of a perfect holiday destination, or the perfect place to throw down your hat and call home. If it is that sort of lifestyle you are after then Bahamas is definitely one of the places to be. There is often no better place in the world that offers these ingredients as well as a relaxing way of life with all the comforts of home as the Bahamas. 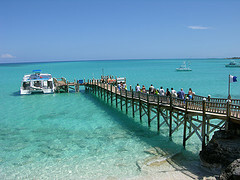 The Bahamas is spread over a number of islands that extends up to 700 and twenty five hundred cays. 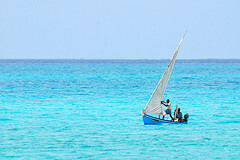 This alone provides one with sparkling opportunities to explore coral reefs, go scuba diving and dive down and snorkel. That is just the beginning of activities that are available in the Bahamas. If you love to do it, you will find it here. While it is impossible to get into all of the details of what the Bahamas has to offer, we are going to provide you with enough information to help you decide if this is a place that you want to call home. The capital of Bahamas is Nassau and it is the perfect place to be, given the ample number of beaches and resorts in the city. The entire country is rich in musical taste which centers on the traditional ‘goombay’ and some down town rake and scrape. Location wise, no wonder, it is almost impossible to find a better place than the Bahamas less than a 100 miles off the coast of Florida. It has the perfect climate averaging a tad over 75 degrees and is a dazzling destination for weddings, siestas, parties, honeymoons, family vacations and expats looking for a little more out of life. When in the Bahamas behave like Bahamians do. Check out the bars, restaurants, casinos, go scuba diving and take a stroll to Atlantis and check out the best shops in the world. The tourist activities are endless and you can just about anything that springs to mind. The water activities range from scuba diving, snorkeling and fishing. If golf interests you then there is no better place than the Cable beach golf course. You can go shopping at the famous Bahamian shops and boutiques and then there are the beaches of the Bahamas, apt for water sports, sun tanning and simply kicking back and getting away from it all. 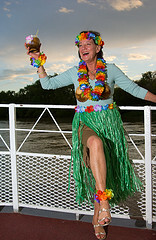 You may also want to venture out and partake in exciting cruises. And that’s not all, while in the Bahamas you’ll have exclusive access to various museums such as the Bahamas historical society museum, the Pompey museum of slavery and emancipation and the Roselawn museum. The nation has a rich historical heritage that includes parliament square, balcony house and the queen’s staircase. Further, you can have a glimpse of beautiful gardens such as the Versailles gardens and the retreat. The Bahamas is also well known for its rich flora, fauna and also has some interesting zoos to boast, for example, the crystal cay. The tourist attractions of the Bahamas are numerous and this leaves you with a lot of choice to pick from. The top rated tourist attractions are Bullocks Harbor, Chub Cay, the Eleuthera Islands, the Exuma Cays, the Exuma iIlands, Great Abaco, Harbour Islands, Inagua Islands, Nassau, Rolle town and San Salvador also known as the Rum cay and The Bight. You may get exhausted visiting all of these places, but the sights are not something you will tire of no matter how long you stay in this paradise. Culturally, The Bahamas is quite rich. It is a blend of African and European cultures and has a whole lot to offer. It is noteworthy that the bohemian culture at the present time is also deeply influenced by the American culture, music and television owing to the increased commercialization and growing amount of tourism. Despite all this the Bahamians haven’t lost their uniqueness. The national language is English. The people have a great taste in music as Junkanoo music has originated in the Bahamas. The Bahamas also has given rise to many carnivals and fashion parades. It is a super religious country and is also known as the Christian nation, needless to specify that Christianity is the main religion here. The currency of the Bahamas is a dollar (BSD) and the GDP per capita is $22,359. If you are considering moving to the Bahamas to find a job then this is another country that boasts quite a bit of variety. The prime jobs for expats are those in the teaching and the hospitality industry, given that the Bahamas is a popular tourism spot. There are ample amounts of jobs available in the tourism industry such as jobs for scuba divers, hotel staff and chefs as well. Second in the list are administrative jobs and legal jobs. You can even consider the insurance industry and the medical field because there is a constant look out for doctors as well as the nurses here. Besides those, you can always look for jobs in the field of accountancy, engineering and management. Nassau happens to be the hub of many such job availabilities. The government has always tried its best to shelter the local banking industry and local financial industry, which in turn generates a lot of job opportunities for the local people as well as expats. The Bahamian government is a little strict about immigration and only entertains those who are key employees of a company or are specialized in something that the locals are not. However, you will find the immigration process in the Bahamas is far less strict than that of other countries and popular destinations. The population of the Bahamas is well spread out and resources in the country are fairly distributed. The cost of living in Bahamas is generally said to be a little higher than that of other countries given the cost of goods here. This is simply because most items need to be imported and thus come in levied with heavy taxes which in turn make them costlier. Automobiles, food and clothing are the basic three subjects in this particular category. Medical and dental treatment is less expensive in comparison to the similar services provided in the United States. You will find that many government run hospitals, such as the Princess Margaret Hospital in the capital city or the Rand Hospital in the city of Freeport, offer medical services that are quite affordable however the waiting hours can be long given the number of people taking benefits from such services. If you sit down and truly decide to move to the Bahamas, finding adequate housing can be a bit of an issue due to overcrowding, but it surely isn’t a big enough problem to scare one away. In case you are moving in after you have managed to find yourself a job in Bahamas then your employer can always help you out. Don’t ignore the rules in terms of work permits before moving in, it is a must have. Bahamas is a nation that offers an unprecedented amount of comfort for expats, especially if money is not really a concern. With the right job and the right amount of money you can get anything you want here as long as you get in touch with the right people. However, just like with any destination, you can learn to live cheap and bask in the island lifestyle no matter what sort of budget you are working with. Deciding where you will live and work abroad is a major decision in your life. The images of Palm trees, coconuts and margaritas dancing in your head can force you to make some pretty rash decisions. Taking into consideration the following factors and asking yourself these questions will surely benefit you in making the right decision. Moving abroad could be the best thing that you have ever done, but you want to do your best to make sure it is a choice you will not regret. The local language that is spoken outside your workplace certainly creates a big difference. It is possible that you are being offered a job where you may be primarily speaking the language which you are comfortable in, but problems can arise when you have to undertake your daily chores. Routine daily happenings such as banking, shopping and hospital visits in a place that has an unfamiliar local language can be quite difficult. Making use of hand motions can be frustrating and to make people understand you is a tedious task. However, you could also be moving into a foreign country in order to learn the local language. If you want to indulge into learning the local language, it would be more useful if more people used a language that is not English. This will make you submerse yourself more into the target language. But, if you are not interested in learning the local language and just want your day to day errands completed without much confusion, it would be better if you are in a place where a greater percentage of people can understand and speak the language that you can also understand well. 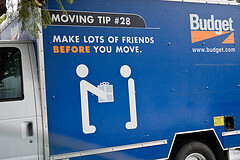 Transportation is another major factor you must take into account before you plan to move abroad. Is your company providing you with a car? What about the public transportation facilities? Is public transportation easy to make use of and safe, especially for foreigners? You can consider owning a private vehicle. But how do people drive there? What side do they drive on as compared to your native place and what might the terms of car insurance be? These things have to be kept in mind. Will purchasing and maintaining a vehicle in the destination in question actually possible and well within your budget? You must find answers to all these questions before hand if you want to be able to move around in your new country. When you move abroad, are you planning to spend your free time with your colleagues or with the locals? Or do you want to socialize with other expatriates? Whatever the case may be, you will have to look into and know what to expect when it comes to the foreign community. You may be able to adjust well with merely a few foreigners or you need to look for a place with a larger community. It may be easy for you to socialize well with the locals, but you will surely have to understand their surroundings and culture for that. You will have to maintain the right balance as intimate friendship with locals may be difficult as in countries like Saudi Arabia. In some countries foreign nationals may also be restricted to a particular limit on secure compounds and where they can venture to. All of that information is something you are going to want to know before packing your bags and taking off. Make sure you get detailed information regarding your living arrangements before you move abroad. This is of utmost importance as finding a place to live within an unknown place can be very difficult. Make sure your company tells you before hand as to whether the utilities and rent are paid for by them or not. Is the placed fully furnished? Is there any settling allowance for you? Is shipping and logistics for your goods possible or not? Does your school/college or place of employment provide housing or dorm rooms? What will the place be like in terms of size, functionality and comfort? Will you be expected to share a room with someone or be provided independent lodging? All of this information needs to be looked into and these questions need to be asked. Take into consideration what constitutes comfortable living for you and what sore of accommodation would make you happy. Some may feel quaint and cosy in a tiny dorm while others need something a bit more open and roomy. You are going to be spending a lot of time in your abode, so make sure you know what to expect. What Attractions and Leisure Activities are Popular and Available? Your job or work may be the most important aspect for you when you move out to a foreign place, but leisure activities are also going to be a major part of your new life. Make sure you know as to what kind of leisure activities are available and easy to do. Is there a gym, pool, recreation facilities or even parks nearby? Are there any amusement parks, theatres, shopping malls or museums where you can spend your free time? If there is a certain pastime, hobby or activity that you love but isn’t available will you still be happy? Make sure you know what you can live without doing and which activities would leave you feeling empty if you didn’t have them. You must be well aware of the cultural or legal limitations that women have to follow in the particular place you are planning to move to, especially if you are a woman. Is it easy for women to travel around independently? What about clothing regulations or restrictions? Can women drive and make use of public transportation with ease? If you are a man, meeting women in public may be considered a crime in some places, or at least extremely frowned upon. However, meeting women in private may result in even more dire consequences for them as well as you in some countries. You must take notice of all these factors before you try to interact and mingle with people in a foreign place. If you are a woman, how different will your life be like in the destination in question? If you are a man how comfortable might you be living in a place that limits the rights of women? Sure the idea of sun, beaches and mangoes is tempting when you considering living in certain places abroad, but make sure you can handle the heat. Before you plan to move abroad keep the local weather in mind as it may cause you difficulties during you stay. You may not be able to cope with 50 degree weather in Africa or the extreme cold conditions of places such as Russia. Monsoon rains may also flood city roads and weather can really affect the way you go about everyday life. More concerning is the diseases that may breed as a result of different weather conditions. Make all the necessary preparations when it comes to the weather and consider all of the conditions of the place you want to settle into. There is a chance you are going to be put into situations where you find yourself outside of your comfort zone. In the end, you just have to make sure you really understand the change that is coming, and know what to expect. There is no such thing as doing too much preparation or research. Even the best opportunities can come with a little downside. On the other hand, even the seemingly worst opportunities can prove to have a number of silver linings. Ask around, get in touch with other expats, research the culture and really do your homework. The best way to live life with no regrets is to prepare and make informed decisions. A few years back I remember somebody telling me that any job I did at home, I could do abroad as well. My first reaction was not a sense of enlightenment, and I didn’t feel inspired at all. In fact I distinctly remember scoffing at the idea and sticking to my opinion that there were only a few places, and a few ways, in the world where I could get a decent job. Stick it out through school, sludge through exams and then hope to land an internship with some big monopoly of a company. Ah, to be young and naïve again. The truth is, I now know, that you can land pretty much any job, anywhere in the world. And there is no secret either. You just have to get out there and find it. Easier said than done though, right? Well if you really want to get out, see the world, and absorb a new lifestyle and experiences, then you are going to have to work for it. Yes, opportunities abroad are endless, yes, you can realize your dreams, but it isn’t going to be handed to you. So where do you start? How can you become one of those lucky people that don’t have to schlep their way to the office through rush hour traffic or cram themselves inside a tiny cuticle? Just follow along because the payoff is going to be worth it. In reality there are 3 main types of work that you will find abroad. You can he hired on a contract from a company at home, you may be hired on a national contract by a company in the country you are headed to, or you can venture off into the world of self-employment and freelancing. The most desirable work arrangement is often the contract given to you by a company of your current residence. You will be paid in your currency, receive a number of benefits and be assured quite a lot of job security. In this situation the employer will often pay for your entire move, cover a portion of your rent, pay taxes and supply you with a lot of the everyday goods and services you need. Sounds pretty sweet right? However this is the work that is tough to find, for obvious reasons. On a national contract you will be paid in the local currency and will be given a salary that is competitive to what other people in your position make within that region. This means that you will often be paid less than you would a home, but you have to keep in mind that the cost of living is usually a lot lower. The problem with this type of work abroad is that there are a lot of entry barriers you have to deal with in terms of visas, regulations and taxes. Your third option is to start your own business in your new destination or take to freelancing in whatever facet or arena you enjoy or are skilled at. Most expats that utilize this option to move abroad have at least a few years of experience under their belts and a strong foundation and business plan put in place. No matter which avenue you find most available, or choose to take, your first step is to figure out which country or destination you would like to head to. What you may want to do is set a concrete deadline sometime between 6 to 12 months ahead in which you will make the move abroad, even if your search from home does not pan out. This allows you the time needed to try and land a contract at home but still keeps the plan in motion and keeps you inspired to move forward if you can’t. Start off with a certain region and then start narrowing your choices down to different cities. Search the internet, peruses website such as ours, and figure out what sort of culture, atmosphere and life you would enjoy the most. The earlier you can choose a destination the easier it will be to make contacts in the country, brush up on a new language and even save money. What a lot of people do not realize is that the search for a job abroad is a lot similar to a normal job search. You often use the same strategies and tools that you would locally and the main focal point of the entire search is to network, make contacts, and get your name out there. 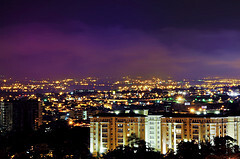 For starters let’s say that you chose Belize as the place you want to live and work in. Try your best to surround yourself with the idea and slightly mention it to most people around you. If you mention the fact that you are planning to move to Belize in a year in most conversations that you have, you will be surprised at how easy it is to network. You really up your chances that you will meet someone willing to show you around, someone who has been there before, or even someone who can offer you a job. Very few expats actually land a decent job or head off to a new country with a job in hand. There are an infinite number of companies and employers that will not search for employees abroad and just wait for the right candidate to show up on their doorstep. So that is often what you have to do. Before you pack your bags and take off with a few dollars in your pocket, try and speak to other expats and people who have been to the country before. This will give you a solid idea of how much money you will need in order to stay afloat during your job search, which can last around 3 months or even longer. Your first priority when heading abroad is to locate affordable accommodations. Through proper networking you may have been able to make contacts which can help house you for a few days, and if not you should look into vacation rentals and other accommodations that offer a monthly rate. You can also peruse the local newspapers for classified ads asking for roommates. Another important “tip” to keep in mind is that you will really benefit from meeting local expats and networking with them. While you may be moving abroad as a way to get away and truly indulge in a new culture, expats who have done it all before can be a great help. It is through these people where you will find the most success in terms of finding a place to live and a job abroad. Self-employed expats follow much the same path as those looking to gain contracted employment. Most freelancers will move abroad and live on a tight budget from project to project, until they can establish a name for themselves within the community or a certain industry. While experience can help you a lot, it really is a stubborn drive and determination that will get your foot in the door. Just keep in mind that while freelancing doesn’t always mean a steady paycheck, it comes with a lot less investment than opening your own business. You can make your dream of moving, living and working abroad a reality. You just need a slight push in the right direction and be willing to put a little bit of work in. No matter where you want to live, what sort of work you would like to do, or when you want to move, there are opportunities out there. Just do your homework, meet the right people and take the leap. Chances are your goals are going to catch you and make all the work more than worthwhile. Is home really where the heart is? Or does your heart follow along wherever you go, as long as you make positive decisions that really make you feel better about your life and yourself? The truth is that home can be absolutely anywhere you want to make it. It seems there are so many xenophobes out there that assume that anything out of the ordinary or anything too far from home is simply not safe. People conjure up images of foreigners being targeted or mistreated and neglect the opportunities that exist in the world for retirement. Sure retiring or living abroad may not be for everyone. I mean you have family, friends and comforts close to home that you simply do not want to give up or say goodbye to. But isn’t it just nice to know that there are other options out there, just in case you change your mind or simply want to get away? You do not have to retire abroad, you do not have to move away to get away from things, but sometimes it just feels good to know that there are other places and other ways of life that can give you some of the things that you do not have. Costa Rica is one of those places and if that surprises you then you need to take a look at these top 12 reasons to retire abroad in Costa Rica. Now I am not trying to sell you anything or promote the country in any way, so this all comes with a little bit of a disclaimer. Costa Rica doesn’t necessarily offer all the excellent things it did for expats in the past. The government has made some poor decisions and there are drawbacks that you have to keep in mind. If you are looking to retire abroad in a place that offers you the comforts of home and in a place where you can connect and be close to other expat retirees, this is the place to be. If you are looking for something a little off the beaten path and actually looking to get away, there may be better options. With that being said, the country is unbelievably stunning and really, really cheap. So let’s get right into it. Here are 12 enlightening reasons why you should consider retiring to Costa Rica. Ah, universal health care, one of the only arguments that comes into place when people compare Canada and the USA. However, Canada isn’t the only place with affordable health care and Costa Rica actually outranks the USA in overall quality of health care. The entire system operates quite in the same way that Medicare does in the USA which means you aren’t going to have to put a second mortgage on your home to take a trip to the doctor. What is even better is the fact that Costa Rica’s universal health care also covers dentistry and even cosmetic surgery. Now you can get that perfect veneer smile to match that golden brown tan you spend so much time working on at the beach. Forget Hollywood, maybe Costa Rica is the new land of plastic smiles and George Hamilton tans. Okay, maybe that is taking it too far but you get the point. Yes, the cost of living has risen in Costa Rica over the years and yes, there are wealthy expats who throw around large amounts of cash in the country on a monthly basis. However, recent studies have still shown that the cost of living in Costa Rica is approximately 35% lower than that of the USA. What does that mean for retirees? It means you still have the chance to live a comfortable retirement even though the recession “stole” a large chunk of your 401k right from right underneath your pillow. Groceries cost less, dining out costs less, alcohol costs less and housing is far more affordable than it is in most places within the USA. That is of course unless you dream of retiring in a cabin nestled in the woods of Northern Ontario, or a government assisted living complex in New York. But hey, to each his own right? 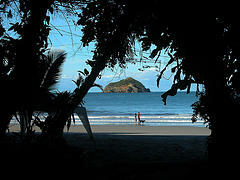 Many people call the beaches in Costa Rica the most beautiful in the world, and not many people actually argue that opinion. Costa Rica is a country that is crammed between stunning beaches on both sides much the way sardines are crammed into a can. No matter where you go you will stumble upon every kind of beach you could imagine. There are rocky beaches, fishing beaches, surfing beaches, beaches connected to jungles, black sand beaches, empty private beaches or beaches packed with tourists. The choice is yours and the options never end. It is kind of like a bag of Lindt Lindor chocolates that never ends and comes without any calories. I’m not coming out and saying that democracy is above and beyond the bees’ knees or the cat’s pyjamas, because it can be argued that it barely works at home. However, Costa Rica’s democratic form of government means you can dispel those images of rebels, revolutions and government upheavals that haunt the dreams of so many expats considering a move abroad. The system in Costa Rica is as stable as it gets and incredibly boring, just the way we like it. At some point or another we all dream about tropical weather and living in a land of sunshine and beaches. The problem is that for some retirees that sort of weather can get boring after a year or longer. Spending everyday in humid and hot conditions can slow you down and sometimes have you missing the weather at home for than you thought possible. This is not the case with Costa Rica. The country boasts every type of climate that you can imagine. There are beaches, ranges of volcanic mountains, acres of fertile soil for farms, deep jungles, rainforests and even dry prairies. If you want you could choose to spend your day in a different type of climate each day of the week. Hot, cool, dry, wet, the choice is yours. Whether you spend a week here or settle down for years, you are going to see things that you have never seen before and cannot find anywhere else in the world. The wildlife is unique, varied and fascinating. Scientists and researchers from all over the world continually stream to the rainforests in Costa Rica to study rare species of plants and animals that do not exist in any other place. From Sloths, rare birds, jaguars, prehistoric trees and insects, monkeys, sea turtles and everything in between, you will be wowed by nature at its best, no admission ticket required. Take that Siegfried and Roy. If you own your own small business, or have dreams of starting one up, then Costa Rica is one of the best places in the world to be. Whether you want to consult people online, operate an online store, work as a blogger, get into affiliate marketing, or pretty much do anything that is based around self employment, Costa Rica is often as comfortable as it gets. The government will exempt you from taxes that you would have to deal with in a number of other retirement destinations, which simply means more money in your pocket for cocktails. This is excellent news for people who are short on retirement savings and need to get a little creative when it come to side income. The fact is that Costa Rica wants you here and the more money you have to spend the more money you will funnel back into the economy. It really is a win-win situation. Even if you cannot afford to pony up the cash for an elegant beach home, or you decide that you want to live in a condo in the middle of the city, you are always steps away from paradise. One day trips to mountain ranges, volcanoes, surfing spots, jungles, national parks and hiking trails are commonplace. There are not many places in the world that offer so many natural, fun-filled locations that are in such proximity to one another. A lot of travelers and expats who haven’t been to Costa Rica assume that the local cuisine is comparable to other Central American destinations or even Mexico. That assumption couldn’t be further from the truth. The Eastern coast offers a smorgasbord of Caribbean foods and flavours, as well as succulent seafood. The traditional Costa Rican meals revolve around vegetables, rice, chicken, fish and a lot of beef. There are never ending choices when it comes to international cuisine as well, but if you get used to living like a local you will fall in love with how hearty yet healthy the food really is. Kick back and enjoy the flavours of spectacular cuisine while losing weight, could retirement get any better? Costa Rica separates itself from other countries in Central and South America when it comes to how seriously education is taken. The literacy rate is estimated to be over 95% and you will find schools in even the most remote locations. For decades the Costa Rican government has piled close to 30% of their overall funding into primary and secondary education. That statistic alone makes sure that there are no children left out in the cold. Even in the middle of thick jungles you will come across small school huts which ensure that education is at the forefront of every community. While there are a number of different cultures and people represented throughout the country, you will be blown away by the overall friendliness that absorbs Costa Rica. You will find a friendly Caribbean vibe on the East coast while the West coast is built on tourism so the locals realize how important you are to the economy. You will truly be welcomed with open arms and confront people that are more than willing to show you around and flash an abundance of smiles. The easy going nature is addicting and you will be overwhelmed with the calm feeling that blankets most communities. If Thailand is the land of smiles then Costa Rica is the home of handshakes, hugs and heartfelt acceptance. The overall notion of many people throughout North American and Western Europe is that Latin American countries are unsafe. Truth be told, Costa Rica has one of the lowest crime rates in all of Central and South America and is a place where people of all races and ages feel safe. Women can walk alone all over the country whether it be in the city or the jungles without fear of their safety. Crime is frowned upon and personal safety is taken very seriously in the country which adds to the overall comfort level for retired expats in the country. Just think about. That is all I ask. 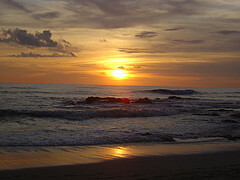 You do not have to pack up and move away today or start planning your retirement to Costa Rica this very second. Just look into it, shun those assumptions that tend to overtake the mind sometimes and bask in the excitement that the country offers. Just knowing what else is out there and realizing that you have other options can lift the weight of the world off of your shoulders, especially when times are tough. Aren’t you sick of all those retirement planning guides that you see on the internet, on TV, and even in the mail? Doesn’t it seem like they do not actually apply to the people who really need retirement savings help? Every time I watch one of the commercials or hear some other financial expert tell me that I need to start saving 25% of my income every month, it just makes me want to crawl back into bed and give up. It can’t be just me either, as the recent downturn in the economy has meant thousands of people lost a big chunk of their 401k savings and even more people have lost their jobs altogether. Even before this recession came about companies were slashing pension plans and retirement funds like it was their job. So what can you do aside from having to move back in with your kids when the time comes? Get a new full time job, go back to school, start all over? 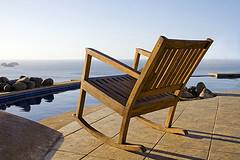 The good news is that you do have more viable options for a happy retirement, but it isn’t going to come easy. Before you can go about planning your perfect retirement you need to be able to define what you want in your life. If your goal is to own a luxury yacht, cruise the world and live on champagne and caviar, you definitely have your work cut out for you and this article may not be for you. In all likelihood though, your goal just may be to get out of your mundane routine, say goodbye to your boring job, and be happy. While you may dream of retirement for the freedom and the chance to spend more time with your family, money is going to be an important part. So get out a pen and a piece of paper and write out exactly what you want your retirement to be like. What do you see yourself doing on a day to day basis? How much is what you are doing or where you are living going to cost you? How does it feel to finally have that freedom? What can you do now that you never had the opportunity to do before? 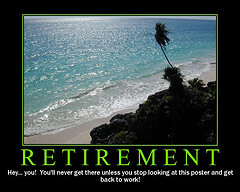 You are never going to get the retirement you desire until you figure out what exactly it is that you want. Everybody has talents and hobbies. The fact is that these hobbies can often prove to be a nice way to add a little extra income to your retirement. Whether you enjoy writing, cooking, hunting or sewing, having the time to do those activities is probably one of the things that most excites you about retirement. The real question is whether or not you think it would be less fun if you did it as a way to make money. Every little bit of income can help when it comes to retirement, and with the growth of the internet there are more and more ways to make money through your passions. Blog about what you are doing, consult people online, or even teach a class once or twice a week. Many soon to be retirees actually end up starting a small business because they have to and then realize just how rewarding it is, financially and emotionally. Your passions may even allow you to make money from wherever you choose to settle down in the world, whether it be a cottage in Canada, a tiny sailboat in the Caribbean, or a beach hut in Ecuador. If you get used to cutting back on certain things now you will not only have more money later on but you will also be comfortable without a lot of luxuries. If you live in the lap of luxury and then instantly cut back when you retire there is a big chance you will go through withdrawal or be downright depressed. This doesn’t mean you have to cut out everything fun but just be more aware of the money you spend. Ask yourself which expenses you could easily live without and which ones actually give you a lot of pleasure. Even cutting down from a Café Mocha at Starbucks everyday to once a week can save you $100 a month. Write down everything that you spend money on and become conscious of how often you pull out your wallet. A few cut backs and you could have a healthy little nest egg that could provide for a comfortable and stress free life abroad later on. Your full time job doesn’t have to be your only source of income. You may as well get used to being creative and bringing in money so that you will be better at it later on down the road. If you own a large house consider renting out a room to students. At $400 a month that could equal out to be enough to buy a beach house in Belize over a few years. If you are friends with your neighbors talk about splitting on essentials such as a lawn mower or even create a communal garden. Think about tutoring students after school, sharing expenses with friends and looking around for alternative ways of saving and making money. You will be surprised at some of the options that are out there that could make life a lot more comfortable later on. The normal train of thought here is “who possibly has the time to volunteer?” If you do not have enough money as it is then why would you use up more time to work for free? In actuality volunteering is a very productive way to go about things when money is tight. In many ways you will get back quite a lot more than you put in. Through volunteer work you can get an overall positive feeling about what you are doing and become a part of a very tight social network. This network can provide you support later on when you may need it most. Give what you can, even if it is just your time and remember that money isn’t everything. Yes it is important for a happy retirement but it comes and goes, happiness can stay forever. Volunteering is a great way to teach yourself to appreciate the little things in life and realize that life isn’t all about money. Mortgages are the main reason for stress from soon to be retirees. It is often the largest monthly expense for people and can put a major strain on retirement funds. Figure out if there is a way for you to up your payment now so you will not have to when you retire. It seemed like years ago many financial advisors warned against paying off your house, but that theory has gone out the window. If you can find a way to get full ownership of your home then you will be pretty comfortable when it comes time to call it quits. If paying off your house in full is just not a viable option then maybe it is time to consider downsizing. Right now is proving to be the perfect time to buy a house for cash and there are a ton of options on the market. Seek out something small, comfortable and energy-efficient, and you could be well on your way to putting away more money for your retirement. If the kids have moved out there is no need to be holding onto your 4 bedroom house with a monstrous backyard, especially if it is weighing you down financially. Money, money, money. Everybody is so focused on money all of the time, especially in this current economic situation. Of course it lays the foundation for life and retirement but it cannot always be relied upon. People are learning more than ever these days that money comes and goes faster than you even realize. We have to stop letting money control us and control what we do. If you want to break away and move abroad to retire, there are options. We can all learn a little lesson from the economic struggle lately and sort of realize what is truly valuable in life. A simple life on the beach with a cocktail in hand is a viable option if you get creative, cut back and put your mind to it. You do not have to be tied tightly to your desk job, your mortgage or your pension plan. Is it easy? Of course not. Is it possible? Absolutely. We, as people and as travelers, are all here for a reason. Even when we are down, out and broke, we still all have value. Figure out what you want from retirement and make it happen. Just enjoy the opportunities that are out there, be humble and remember that life doesn’t have to be judged by the amount of money left in your pocket.